After a luxurious night in Los Angeles spent getting over my mom guilt with good cocktails and shopping, I drove to Fresno to pick up my friend Dana. We had scheduled a girls’ trip to Tenaya Lodge in Yosemite, Sequoia and King’s Canyon National Parks and I was excited to hit the road. Turns out the first day was an exercise in something I hadn’t experienced in a while….silence. We began our visit to Yosemite by checking in to Tenaya Lodge which sits on the outskirts of Yosemite National Park. Arriving at the lodge I saw a lot of kids and wondered if I could really find the quiet and rest I was looking for at this property. As a mom traveling without children, my first step after check-in was obviously to hit the Ascent Spa. As I headed into the basement of the lodge, I was pleasantly surprised. The spa was welcoming and calming. It also had small touches like iced towels outside the steam room. I was welcomed into the massage room by a nice young masseuse who wanted to know a little about me. We talked about why I was traveling and who I had left at home and by the time the massage started, I felt like she understood my stresses. The hour unfolded into one of the best massages I have had. Dana met me outside the room and as we compared notes, she ran through a list of all her favorite things. We decided one good massage could have been a fluke but two excellent massages was a sure sign of a good spa. The hotel also has a recently renovated adult only floor that redefines their slogan “roughing it without the rough part”. The hallway to the suites draws you in and once you open the door, its over. THIS IS THE PERFECT ROOM. The modern touches in this room, spa bathroom, and huge bedroom will almost be enough to make you skip the park entirely. 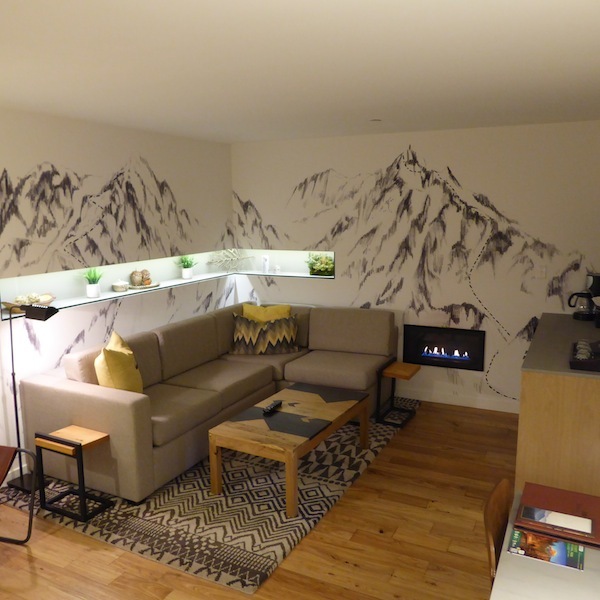 I particularly fell for the sitting room with its modern fireplace and beautiful renditions of the Yosemite peaks. The beauty of this floor is that the hotel understands some people want to get away from it all and with no children under 18 allowed on the floor, you can extend the peacefulness you find in the forest to a night by the fire with your favorite wine and book. I spent a lot of time on horseback this summer but most of it was spent looking back at Will and hoping he was managing an animal eight times his size. When Tenaya Lodge invited Dana and me to head out into the wilderness on horseback, we couldn’t refuse. We were welcomed by a thorough director who made it clear that their first priority was their horses. A fact Dana and I both appreciated. We were instructed on how to use their methods to control the horses and then were allowed to hit the trails. Dana was given a horse named Helen which of course was my mom’s name. As much as I wished she was mine, I appreciated that she would be joining us on the ride. I was paired with Pearl whose personality and good looks had me at “neigh”. The riding was incredible but the true wonderment was found in the silence of the woods. Besides horses breathing and streams rippling, there was not much else to be heard. Occasionally, a woodpecker or raven would speak up and the group would sit in awe of the beauty of it all. 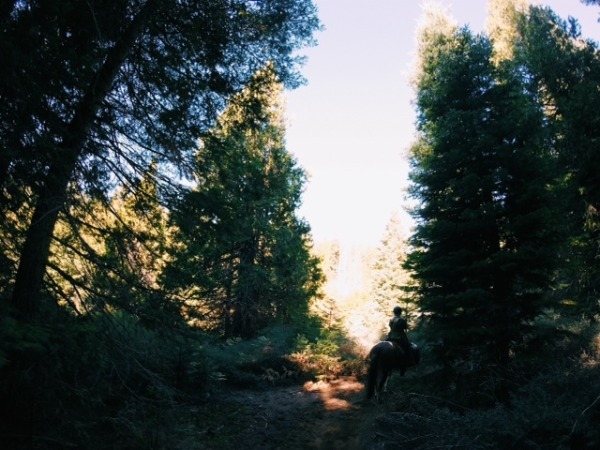 Trail riding at Tenaya Lodge is a not to be missed experience. Whether you are an experienced rider or not, these horses know what they are doing and where they are going. Not a single horse stepped out of line and to be honest I didn’t even tell mine when to turn. I just let Pearl take the wheel. I’ve obviously heard of Yosemite National Park but in reality, it never really occurred to me to visit. In complete ignorance, I actually said to a friend recently that after my 6000-mile road trip across America, I was sort of done with seeing more of it. She asked me if I had seen Yosemite and I truly said: “no but I’m not that into national parks”. Still, when I was invited to visit Yosemite, I couldn’t refuse and decided to check it out. 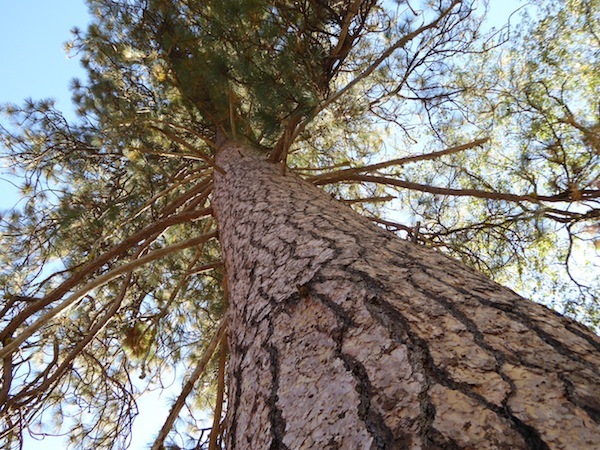 Having seen the woods surrounding Tenaya Lodge, I assumed Yosemite would be much the same. Tall trees, meadows, and animals. I never could have imagined what I would actually see upon entering the gates. As we drove in with Discover Yosemite, I was at first impressed and then frankly baffled by the view. How did this exist without me knowing? 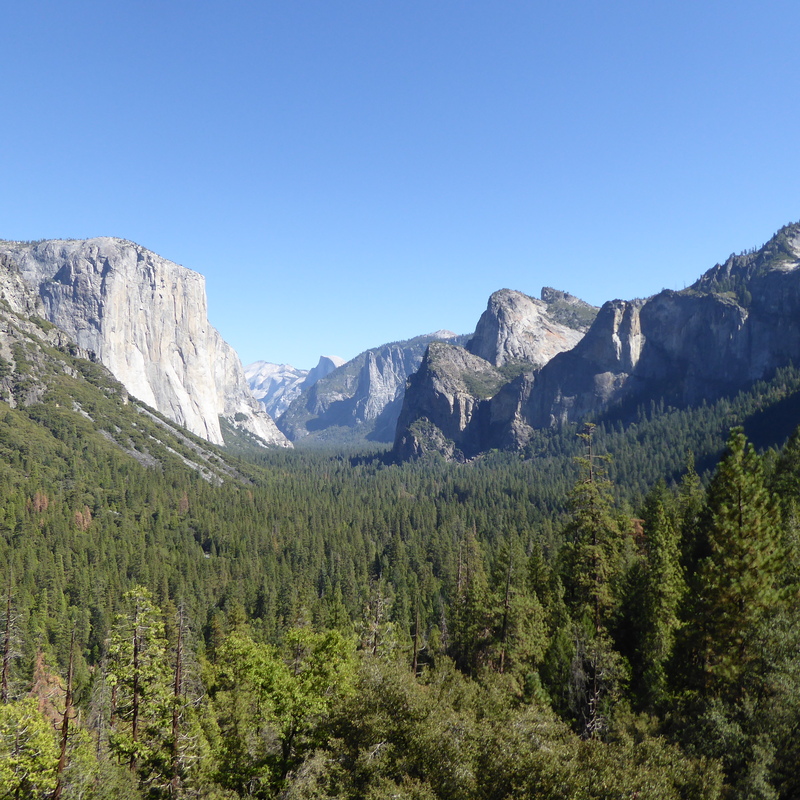 As we drove through the Wawona Tunnel and parked at Tunnel View, I got off the tour bus and had to catch my breath. I realized that not only was I not done with seeing the US, I was so insignificantly small that America wouldn’t even notice. The backdrop to Tunnel View is incredible and something every man, woman and child should see in their lifetime. The rock formations are impossible to not be impressed by and the blue sky and redwood trees will capture even the biggest nature hater (trust me they exist). As the tour guide instructed us to load the bus, I wanted to ask to just stay there and be picked up later. I didn’t need to go to lunch. I had found my happy place. But as they say, the show must go on. The further we ventured into Yosemite, the more unbelievable it became. 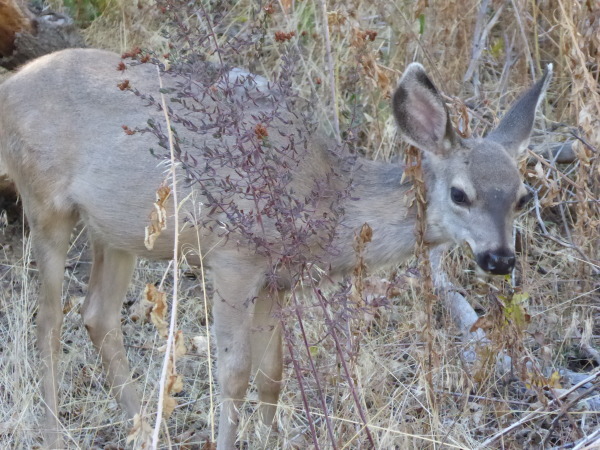 While having lunch in the historic Ahwahnee Hotel, a family of deer strolled by the window. About 40 minutes later, I headed out back to see if they were still there and found them happily munching away on leaves and plants. They were so comfortable with humans that people literally strolled by them without the deer flinching. The rest of the day was equally as mind-blowing as I watched rock climbers scale El Capitan which is the height of three stacked Empire State buildings. Near each granite formation, I took a moment to lie on the ground under the huge redwood trees and just look up at what I was seeing. These magnificent formations were so much bigger than I was and it made my problems seem quite smaller than they did just a few days ago. What struck me most about my time at Yosemite and Tenaya Lodge was the silence that surrounded me. Even when alone in my room, I chose not to turn on the television or listen to music in fear of breaking the peacefulness of it all. On our horseback tour and out in the meadows of Yosemite, I found what I needed from this vacation. A break from it all. The silence also made me sad that I was experiencing all this without my little travelers in tow. As we returned from a long day at the park, Dana and I were exhausted but headed to Embers, the adult only upscale dining lounge at Tenaya Lodge. 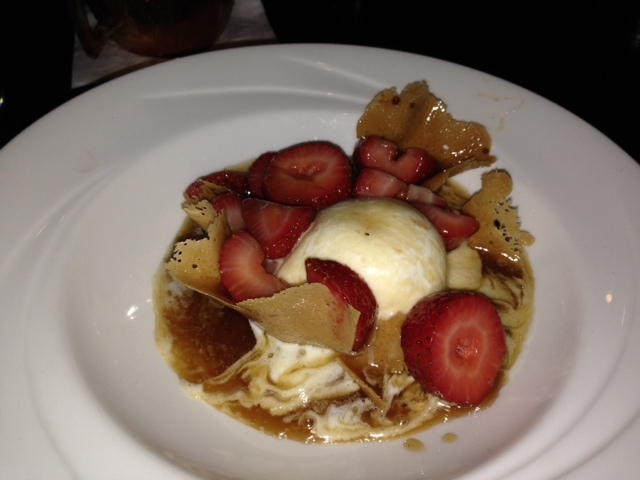 The food and service were impeccable and for dessert, the chef made tableside flambéed bananas. I at first tried to be polite but something was eating at me. My day had started with a horse named Helen and here I was at dessert with a man capable of making her favorite menu item ever. I politely explained to him that my parents as a family tradition on holiday would treat us all to flambéed strawberries over ice cream. The chef agreed to give it a try. Minutes later, I was enjoying a perfect replica of one of my favorite childhood food memories. I have found this sort of acceptance to random queries to be the norm at Tenaya Lodge. The only thing I have heard staff members say to guests here is “yes”. From the spa to housekeeping to upper-level management everyone on site is accessible and will immediately address any problem you may have. I mentioned that my shower head seemed wonky and they should check on it after I leave and the hotel reacted with the coordination of a fire and rescue squad. I tried to let them know that it really was fine and just needed some tweaking but management made it clear to me that when there is a problem on site the Tenaya Lodge policy is to fix it. Immediately. Although I didn’t plan to see Yosemite, I am glad I did. I hope to return and show the beauty of this park to my kids. I want to know if they will be as impressed as I was by the sheer size of things or if my feelings of insignificance simply won’t be felt by a child. I want to see them ride horses and hike through the woods at night on the same guided tour I took. I also want to breathe the clean air with them and share in the true joy of silence. Something I think we all could use a little more of. This sounds amazing Sarah. I have always wanted to see Yosemite but I think a stay in this lodge versus camping is in order. It sounds like total relaxation. Thanks for showing it all to us. Yosemite National Park has been on my wishlist for a long time. It’s good to know that there are options for visitors looking for a bit of luxury to go with the nature. It’s so beautiful there – glad you had such a lovely time. I love to get out into nature, but go back to a bit of luxury at the end of the day. Sounds like an amazing place. I love the concept of “roughing it without the rough part”! Truly loved our time at Yosemite, though we didn’t stay overnight. Thinking we should definitely head back and check in for a while! 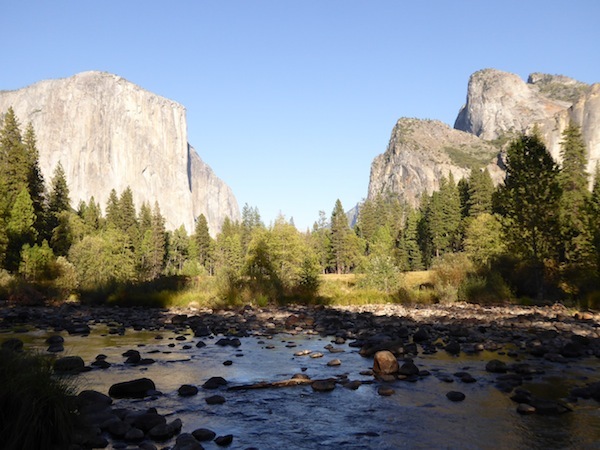 Hope Yosemite changed your mind about our national parks. I have visited many and each one has at least one or two facets that just blow me away. I have never made it to Yosemite, but I will soon. i started my career with the U.S. forest service back in the 60’s. My first experience with the spirit of the valley was during that time. It was a breath taking moment that lives with me today. One should not miss this unique moment of wonder, splendor, and amazement. 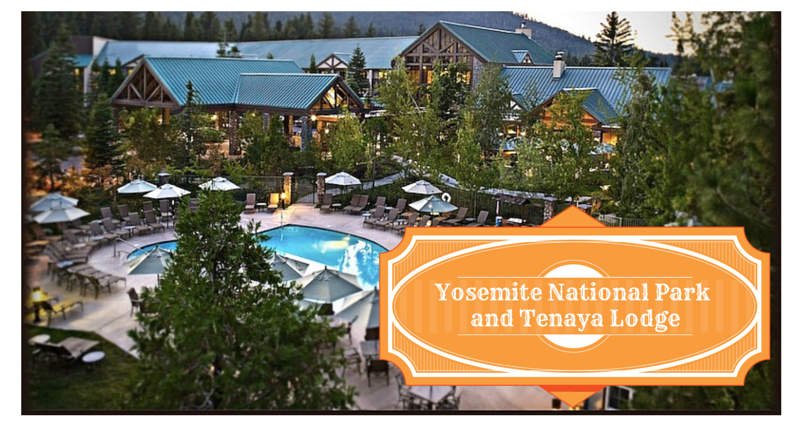 The Tenaya Lodge offers the best of the best lodging and awesome accommodations. Don’t miss either of them… DavesPhotos and Light.